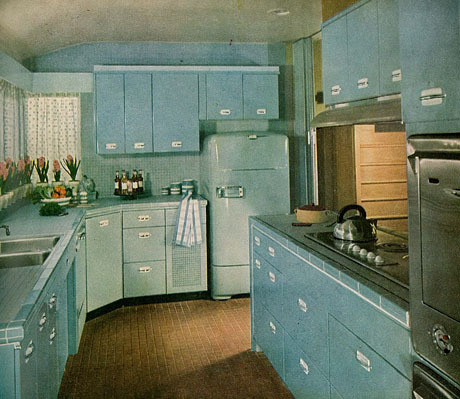 Kitchen remodeling is perhaps one of the most rewarding remodeling decisions you can make, especially if you’ve just purchased your home recently and your kitchen looks like it is still 1950s! 🙂 Or perhaps, it has been ages since a last major remodel in your kitchen. 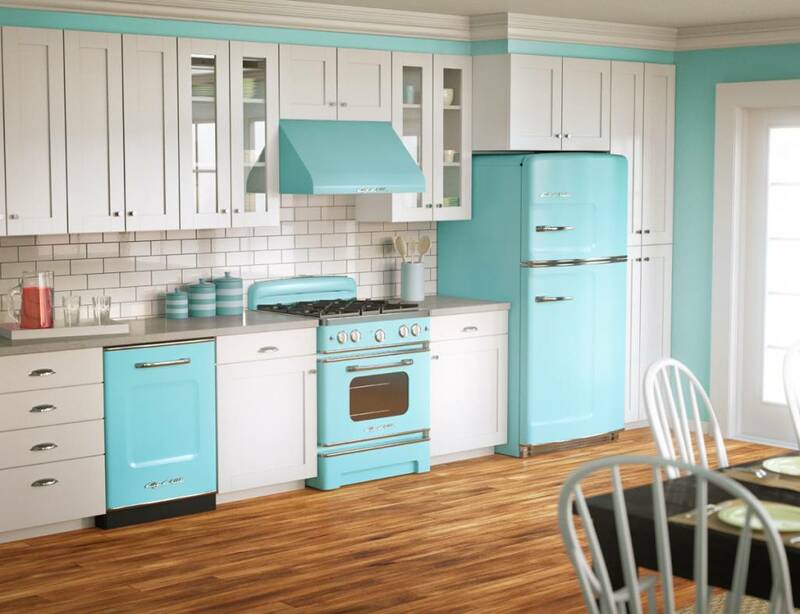 In this guide we will explore some creative kitchen remodel ideas you can do yourself on a budget or with the help a handy home improvement friend. 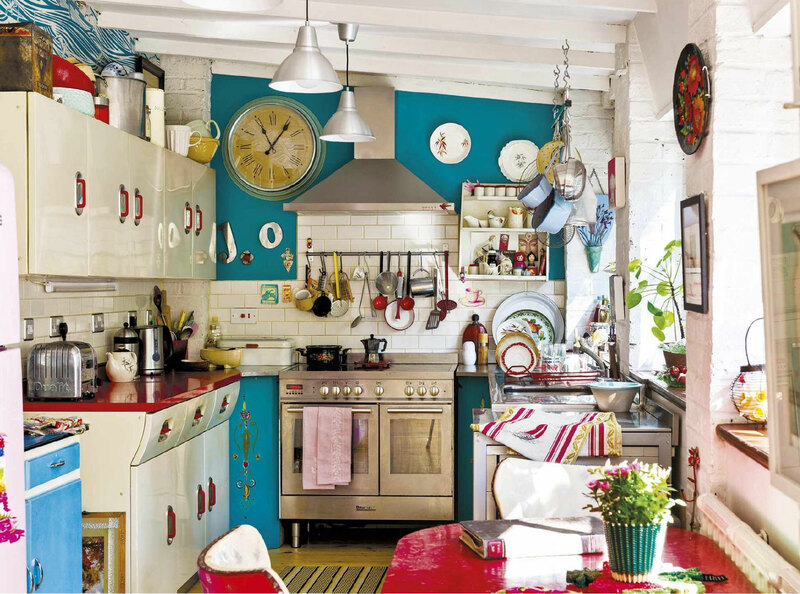 Simply repainting your old walls and ceilings can dramatically change the look and feel of your kitchen. I recommend that you hire a professional interior painter to apply new paint to the walls and ceiling in your kitchen. This can be done even if you have wall tiles installed in your kitchen. A professional interior painter will know the right type of primer and paint that will adhere to your tiles. You may also consider refinishing your old windows and door trim in your kitchen to give it a nice face lift and a feeling that your kitchen is brand new again. Floors – Resurface or Replace? Brand new floors including linoleum, porcelain tiles, or commercial grade flooring laminate tiles can be installed, if your old kitchen floors are no longer in acceptable condition. If your old floors are still in a somewhat decent shape, then you can simply give your old floors a face lift by deep cleaning them first, and giving them a high shine, after. Another important aspect of remodeling your kitchen is replacing the old appliances, with newer, more energy efficient, and more suitable ones. You will want to consider your overall kitchen design and performance of new kitchen appliances when shopping for the right stove, dishwasher, etc. You can find a wide array of energy efficient appliances at Lowe’s, Home Depot or your local home improvement store. If you are doing a high-end remodel in your kitchen, then it is recommended that you install a suitable kitchen hood over your new cooking range. If there is currently no range hood installed in your kitchen, then it may be necessary for you to hire a specialist to properly mount and install your new kitchen range hood including taking care of any necessary duct work. 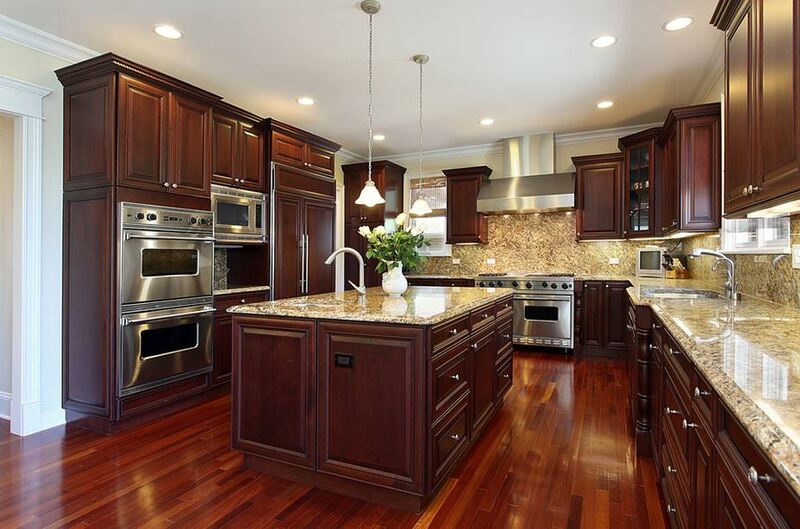 New kitchen cabinets can be very costly, and can easily run several thousands dollars. You can definitely go for it “all the way” If money is not an issue. however, if you are working within a tight budget, then you can save a few grands by resurfacing your existing kitchen cabinets. Take a trip to Lowe’s and look for Rust-Oleum’s cabinet and countertop restoration kit. 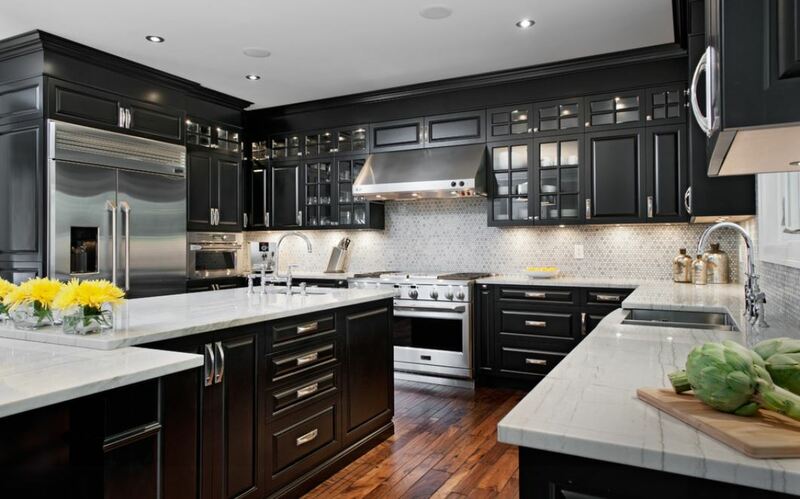 I have personally used in my own recent kitchen remodeling project, and I must say that I was really quite impressed with the quality of a finished product. 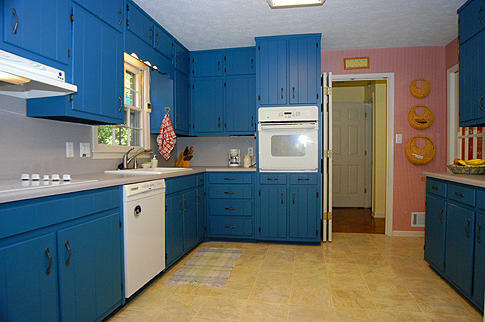 Consider that I was able to give my old kitchen cabinets a new look for under a hundred dollars. If you prefer to replace your old cabinets, but want to do so on a budget, you will find that you can save thousands of dollars just by purchasing ready to assemble kitchen cabinets instead of cabinets that are already put together. Obviously, you have to be comfortable with using some basic tools like drill, hammer, and screwdriver to put your new cabinets together and properly attach them to your kitchen walls. You may also have to give your cabinets a finer finish using sand paper, and then applying a a coating layer or two over it. A majority of the already assembled cabinets found on the market have sides made out of particle board sides while ready to assemble cabinets can easily be found that have solid wood fronts and sides made out of paneled wood. If the task of assembling the cabinets yourself is overwhelming, simply hire a handyman to assemble the cabinets for you. This way, you will still save a bundle. 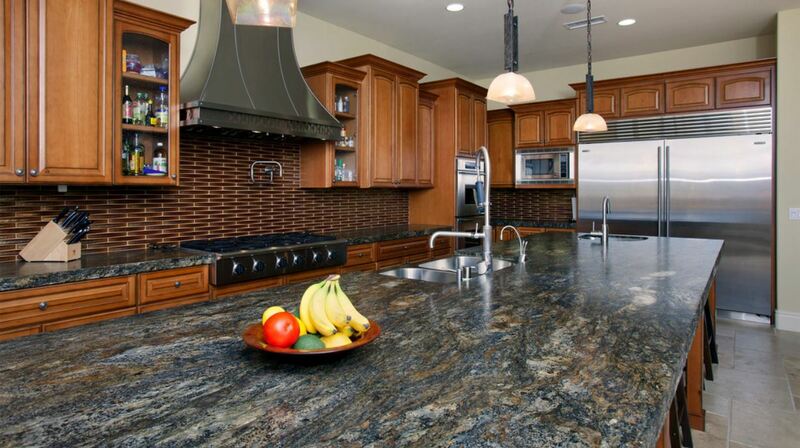 If your budget allows it, it is a good idea to have a granite or natural stone countertop installed in your kitchen. It may be costly, but going this route will ensure many years of beauty and reliable service. Having a natural stone kitchen countertop installed in your home will also make your home far more attractive to a potential buyer should you ever decide to sell your home for whatever reason.